If you haven’t yet heard of the Instagrammable bright blue city of Chefchaouen in Morocco, that’s set to change quickly as the spectacular spot in North Africa is set to become ever-more popular. 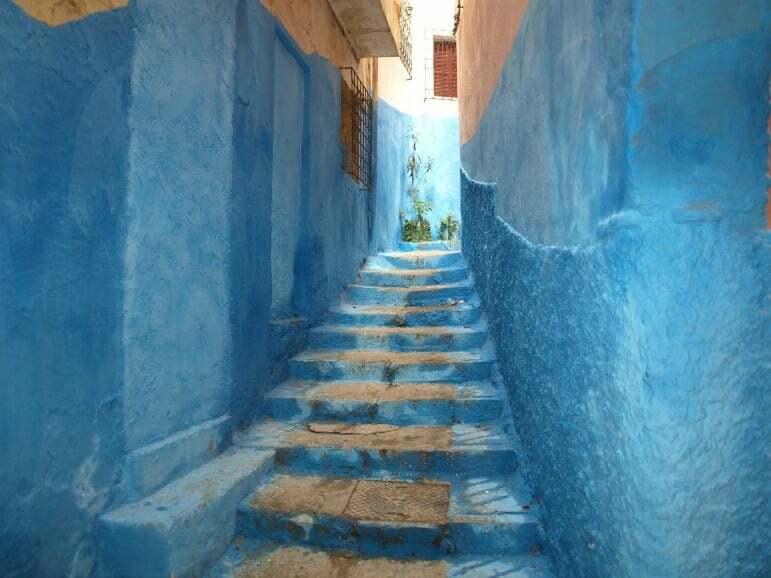 But what are the best things to do in Chefchaouen? Nestled at the foot of the Rif Mountains, Chefchaouen is an otherworldly idyll, and as far removed from bustling Marrakech as you can imagine. 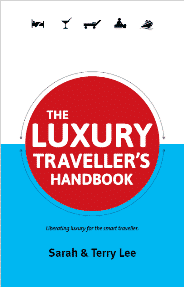 For a start, expect calming strolls and hillside treks and a seriously chilled out way of life. An easy two hour drive from Tangier, Chefchaouen is a must-visit on your North African adventure. Unlike the medinas of Marrakech or Tangiers, the souks in Chefchaouen are still very much a working space for locals, and you won’t find all the old buildings converted into boutique Riad’s here. That gives it a unique charm, with old school Moroccan haggling and quality, non touristy goods on sale to all and sundry. Typically, the locals are far less likely to hassle you than in other Moroccan cities, and you will be able to wander through the medina without being accosted to buy someone’s goods. 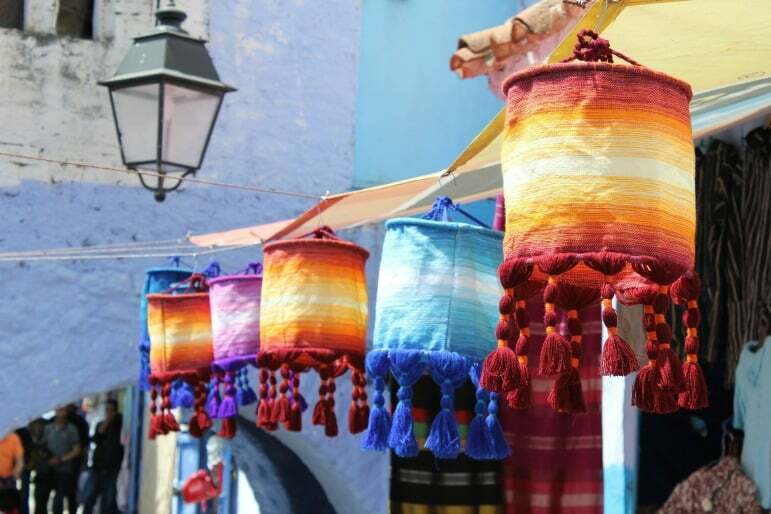 But you may be sorely tempted to pick up some beautifully crafted hand-knitted hats, or perhaps a leather handbag alongside traditional Moroccan rugs. Scarves, and Moroccan slippers make way for ornate silver teapots and stunning jewellery, all of which are met with the challenge to haggle for the best possible price. Remember it’s customary to haggle, and to haggle hard, so make sure you are ready to put your best bargaining foot forward. Morocco is truly the perfect place for foodies, with an inviting combination of North African spices mixed with a unique Andalusian influence. 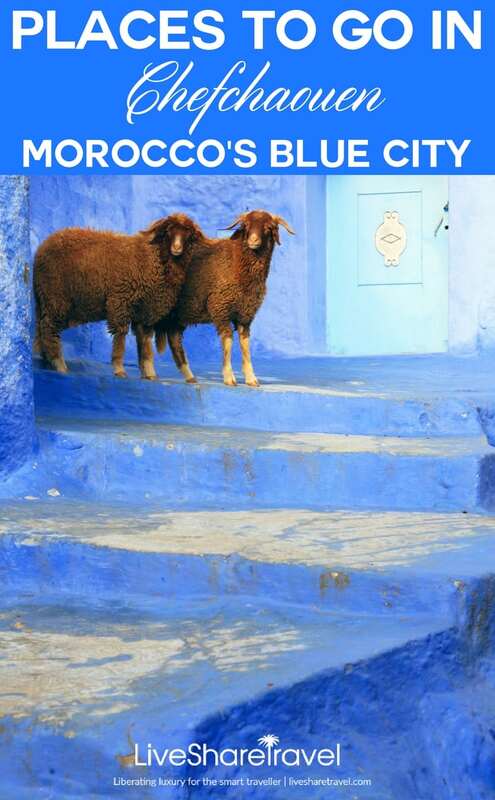 And Chefchaouen is no different to any other city in the country in offering tourists top quality home-cooking served up with a healthy dose of Arabic hospitality. 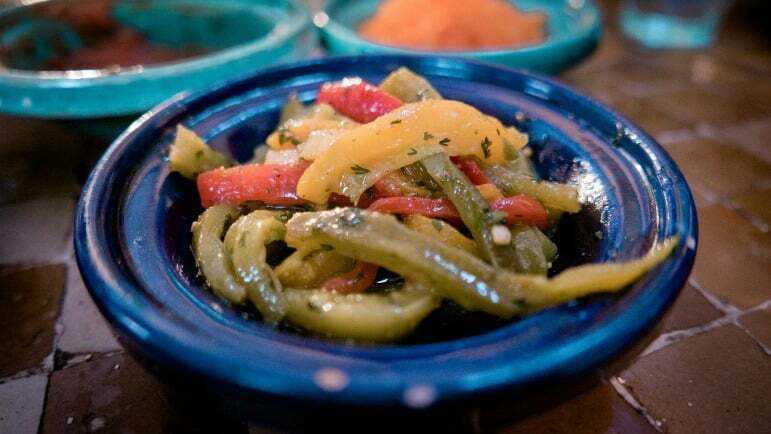 Take a self-tour of the medina, picking up some delicious bread cooked in a wood-fired oven, before enjoying a traditional lunch of fish tagine with cous cous washed down with a sweet, refreshing mint tea. The Casa Hassan’s Tissemlal Restuarant is particularly delicious. But to truly experience Moroccan cuisine like a local, try a special food tour with Tours by Locals they’ll take you on a culinary journey through Chefchaouen starting at the Talassemtane Guesthouse in town. You can expect to enjoy a traditional mint tea with local cakes before learning the ancient art of Berber cookery and bread making, as well as enjoying a tasty lunch with locals. It would be a shame to visit Chefchaouen without taking any pictures, so make sure you bring your photography ‘A’ game’ and get snapping. As you walk around the Medina, you’ll notice that everything is blue: from the plant pots to the window shutters and everything in-between. 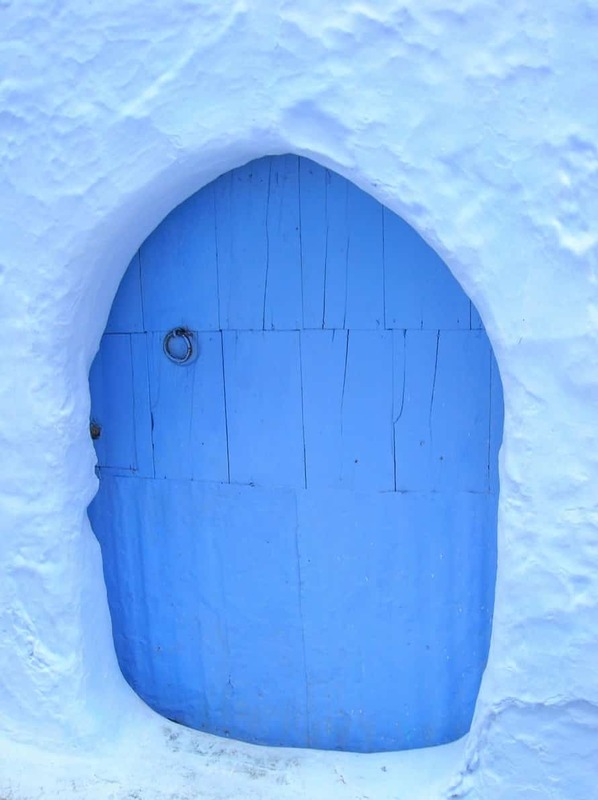 It’s said that the government have even agreed to supply locals with the necessary paint and brushes to ensure the city remains as alluringly blue to tourists! One of the most traditionally Moroccan things to do is to indulge in a Hammam, often known as a ‘Turkish bath’ where you go weekly to cleanse your body in a steam room. Traditionally, men and women are separated and this is still the case at the public hammam in Chefchaouen, just opposite the mosque in the square. Here, you can expect a no frills experience and you are expected to bring your own supplies (soap, robes etc). But head to the altogether more upmarket Art du Bien-Être, just behind the mosque, and you can enjoy all the traditions of a hammam experience with a few luxurious extras thrown in, such as massages, scrubs and facials. Nestled in the beautiful Rif Mountains, you would be doing yourself a disservice if you were to skip taking a hike into the stunning surroundings. But it needn’t be a strenuous all day affair as there are plenty of trails to accommodate every energy level. An easy trail is found behind the Hotel Atlas in the city which leads to a gorgeous, scenic lookout spot with fabulous views across the city. Or head to nearby Targa, where you can climb the minaret of the old mosque – which dates back to the 1200s – and castle. Both were restored, although aren’t open to the public – however provide a fantastic viewpoint from which to enjoy the city’s unique blue charm. 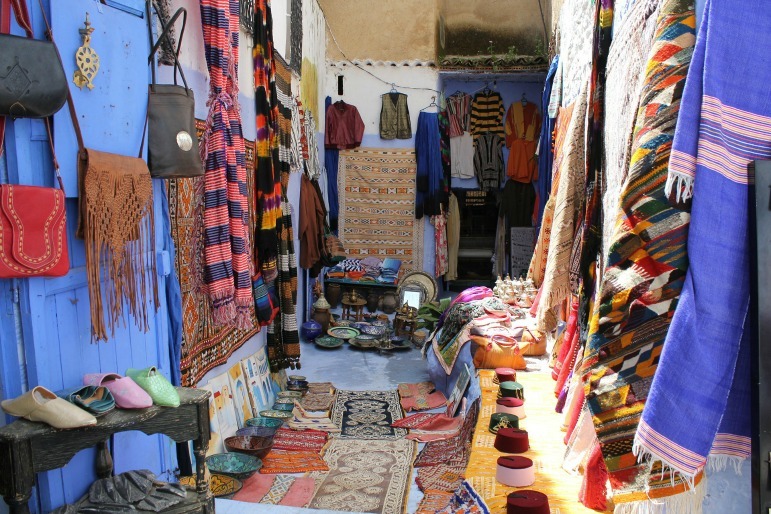 I would definitely love to visit the souks in Chefchaouen and buy some souvenirs. I also loved your suggestion of attending a Moroccan cookery class. Learning different recipes is my hobby, and I feel that’s the best way to add a spice to life since it’s not often that one travels to a foreign country. Just want to know what is the right time to visit Morocco and how much budget would be enough for a five-day vacation.